We continue our recap of the field of the 2013 OPTIMA Ultimate Street Car Invitational, presented by Royal Purple and KN Filters, with Mike Holleman's 1965 Chevrolet El Camino. Holleman is a man of few words, probably because he spends so much time behind the wheel. In fact, Holleman has logged more than 30,000 miles on his El Camino since completing it, many of them driving to, from and on race tracks. 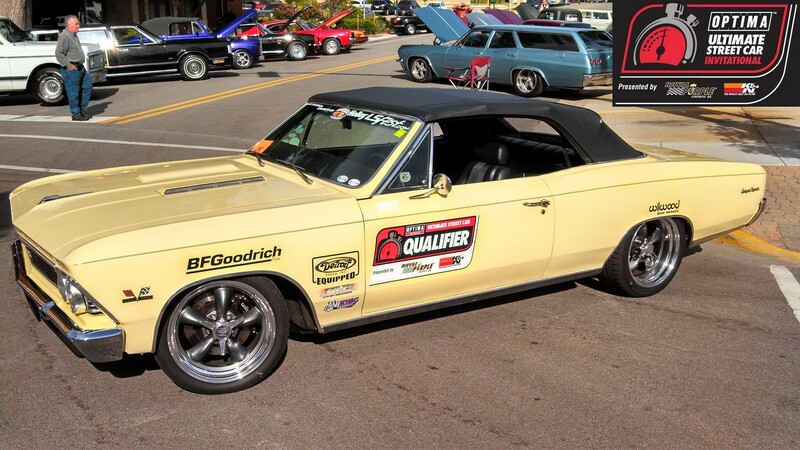 As a result, Holleman is a seasoned veteran of Pro-Touring events, knows a great deal about his fellow OUSCI competitors and what to expect on the day of the event. He finished about where he expected he would overall (tied for 37th), although he felt he probably could've shaved more time off on the BFGoodrich Hot Lap Challenge, if he had a few more laps of practice. Damion Campbell edged out Holleman for 28th spot there, by the slimmest of margins (.073 seconds), while Holleman notched top-40 finishes in all the other disciplines- 31st in the Lingenfelter Design Challenge, 38th in the RideTech Autocross and 39th in the Wilwood Speed Stop Challenge. When we asked Mike if he'd have changed anything, his response reflected the experience of someone who has spent a lot of time at the track- "I wouldn't change anything I did- I didn't crash and I didn't break," said Holleman. His lack of crashing and breaking was also what surprised him most about the event, although we're happy his car returned to North Carolina in the same number of pieces as it arrived. Mike loved all the cars in the event, but says he always comes away impressed with anything Mark Stielow brings and said Brian Hobaugh's Corvette was awe-inspiring. 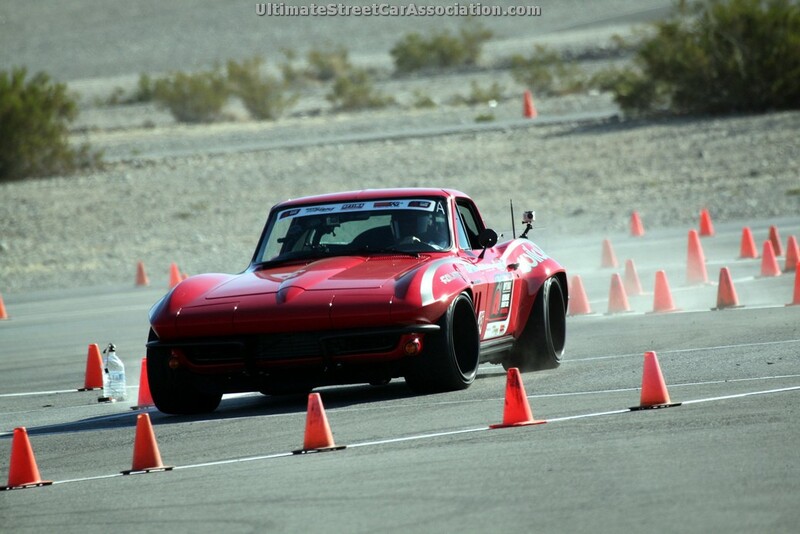 Mike's advice to future competitors would be to get as much track time at Spring Mountain as possible, preferably in one of the dozens of brand new Corvettes scattered around the property for the Ron Fellows Performance Driving School. Even more important than that in Mike's mind though, is making sure competitors, "drive it like they stole it." Well said.